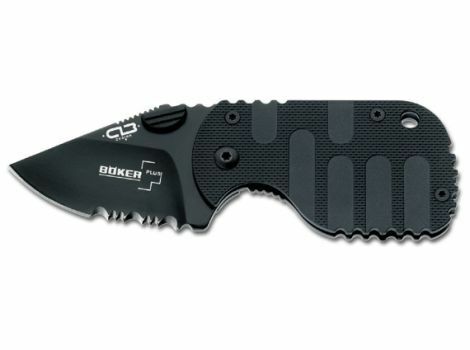 The Subcom F folding knife has a municipal-friendly blade, at 1 7/8-in long and 1/16-in thick. 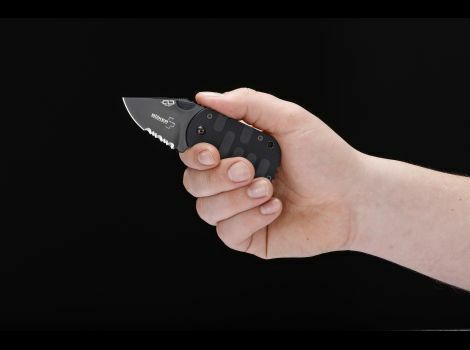 The black coated, partially serrated blade is made of AUS-8 stainless steel and boasts an ambidextrous thumb stud. 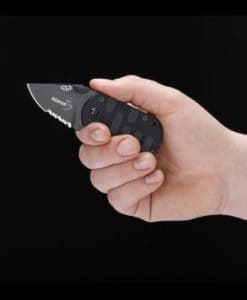 The reversible pocket clip and compact size of this framelock knife make for an ideal money clip. Both thumb and palm index ramps provide for a secure grip. Handle is fiberglass reinforced nylon. 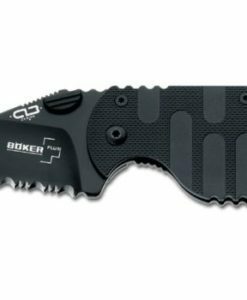 Lightweight, only 2.5 oz. Overall length: 4 1/2-in.